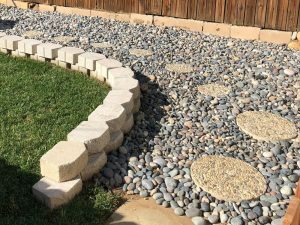 The use of pebbles in your landscaping design can add a large amount of versatility to final result. 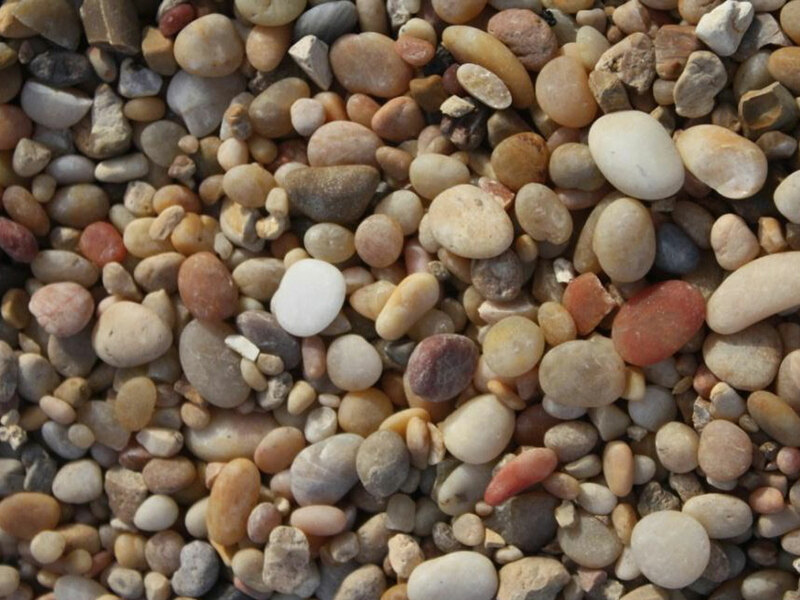 Coral Sea is a beautiful eye catching pebble that presents exceptional tones of tan, gold, red, white and coral. 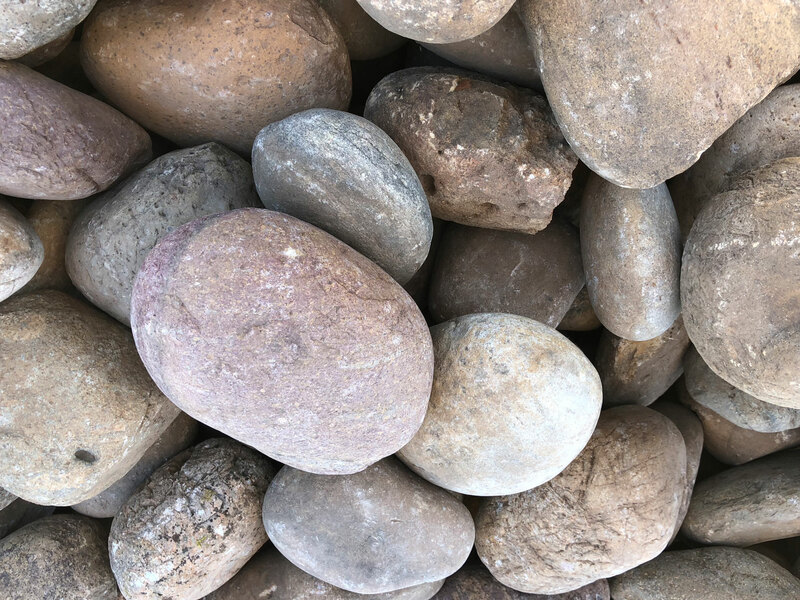 This pebble is great where ever you lay it but would be a great addition to put around any patio furniture to add a glossy elegant look. 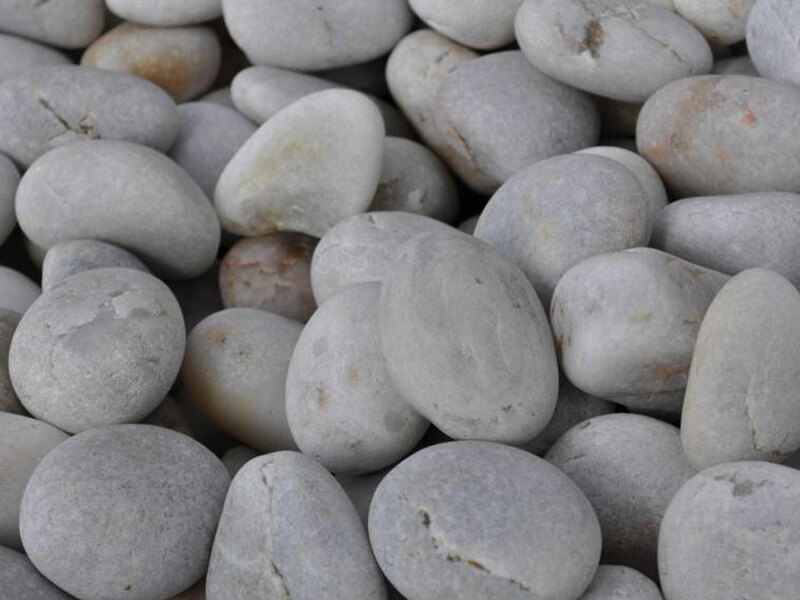 The white beach pebble is an exquisite touch of luxury; this marble was created by nature and rounded by the ocean. 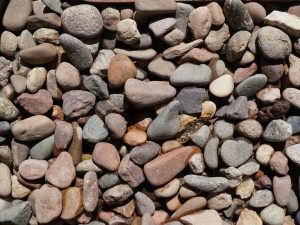 This beautiful pebble would be great in any application indoors and out. 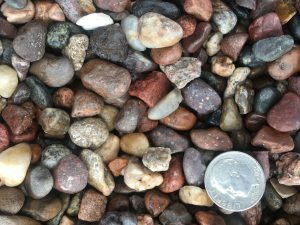 This small pebble is a great mixture of blue, grey, tan, and slight burgundy tones for an extra pop. 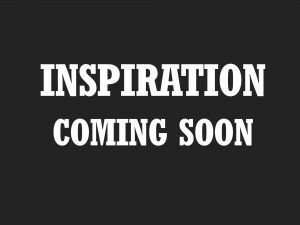 This creates a wonderful serenity environment for any application. 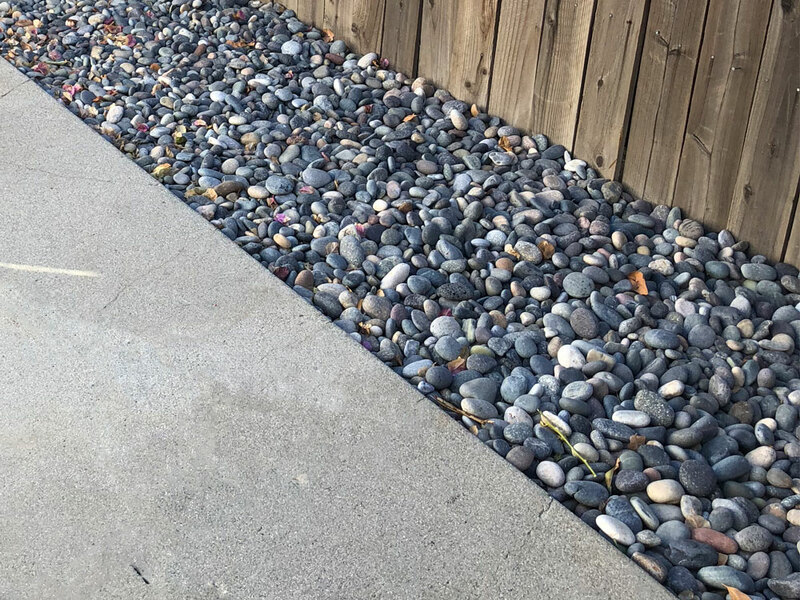 Mixed Beach Pebbles is a smooth stone product with a mixture of colors from black, buff, red, and grey. 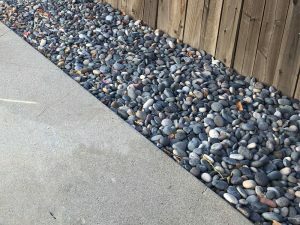 This mix would look amazing in any front or backyard addition. 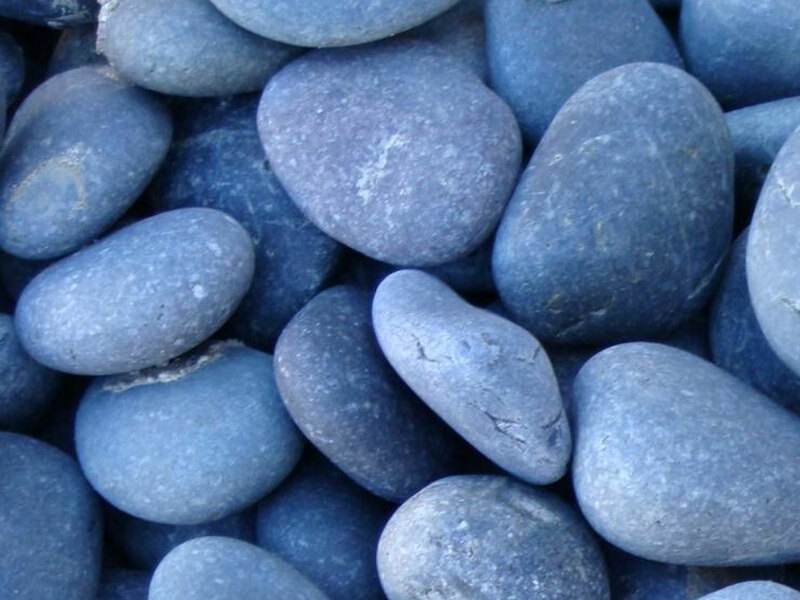 Black beach pebble is a our most popular smooth pebble with it elegant dark blue-grey toned color. Black beach pebble would make an excellent addition to any pond or front yard. 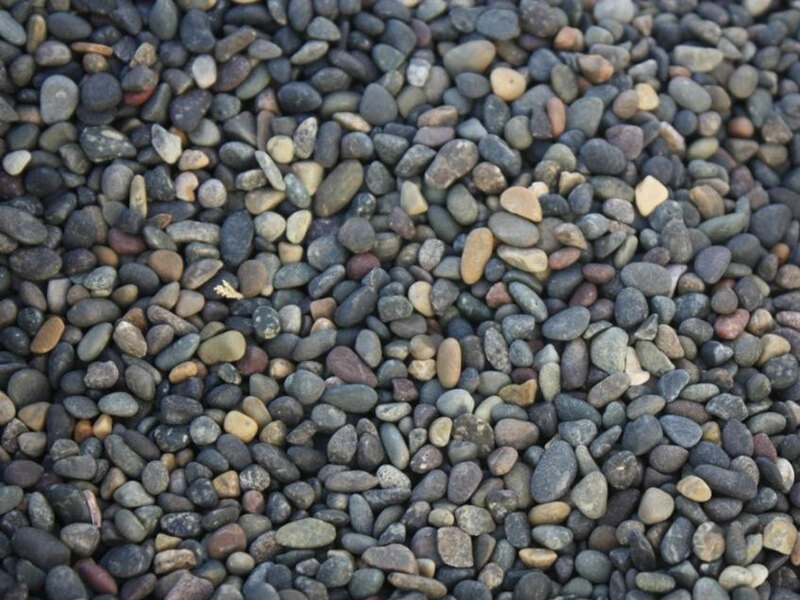 This top quality product beach pebble is known as Buff. The name says it all, with the difference being the mixed variety in colors, which includes shades of tan,green, and slight white. 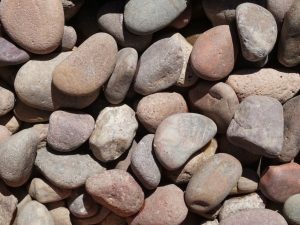 Buff beach pebble would go great around trees,waters falls or ponds. Red beach pebble is the ultimate burgundy smooth stone. All the red tones you could as for from light red to dark burgundy. 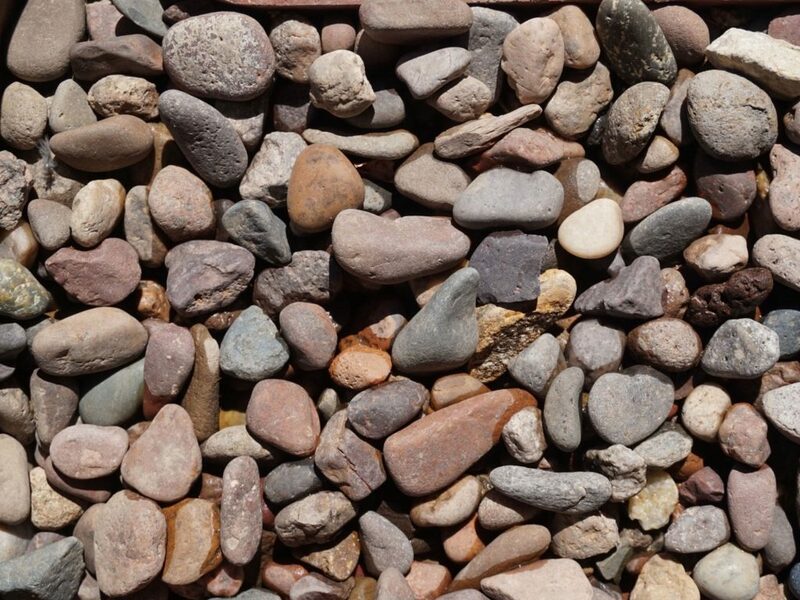 Red beach pebble would be a great feature to accent any pathway or walk way. 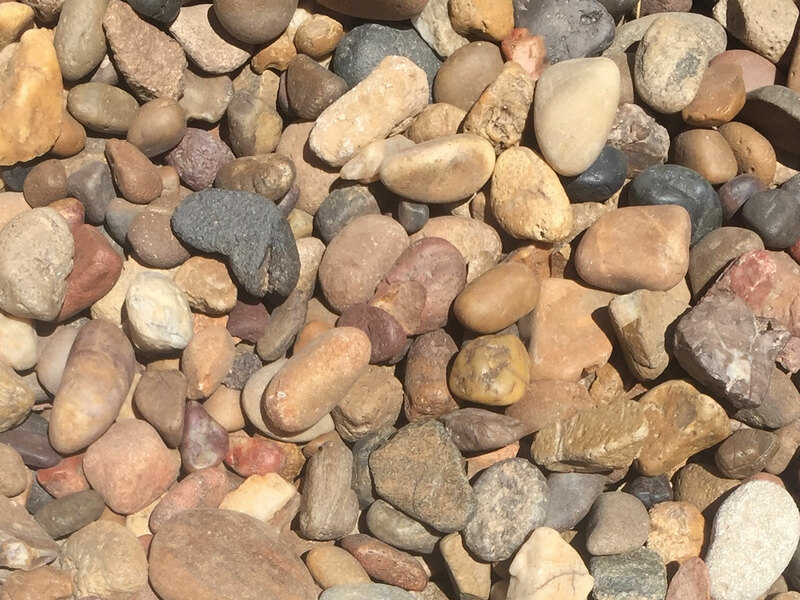 Sunburst pebble is a true burst of color. This popular mix of different shades varying anywhere from tan, orange, and brown ranging from light to dark tones. Sunburst would look great around any siren area to add a smooth finish. 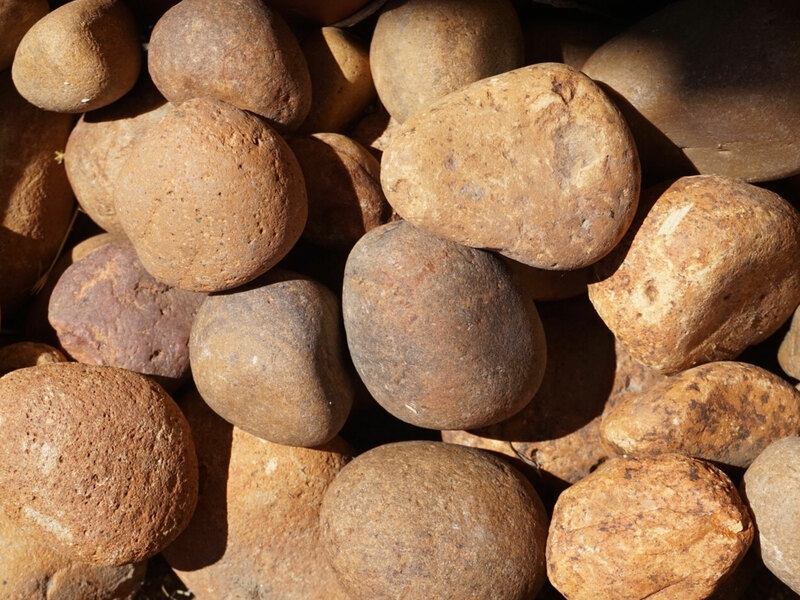 Baja sunburst is a semi smooth river rock with varied tones of light to dark tan and orange tones. Adding the bright river rock around any planter will add a desert feel and south west touch to any landscape. 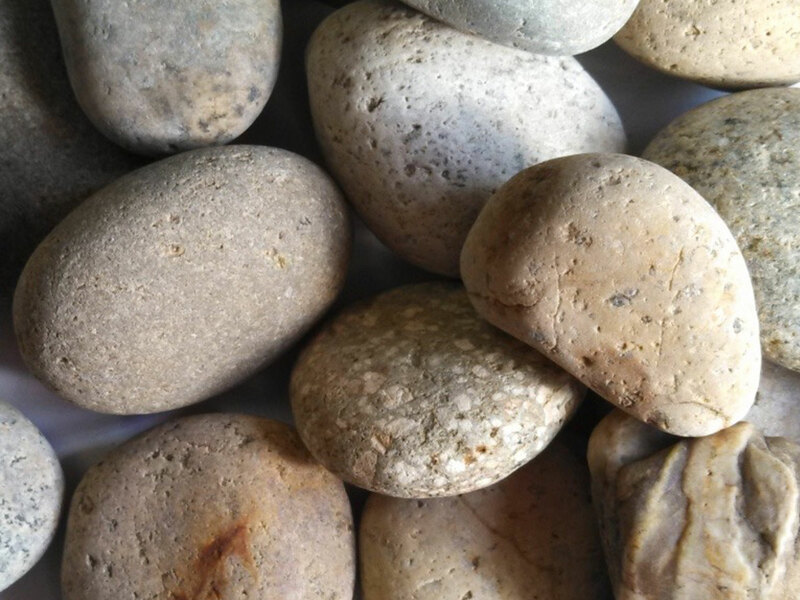 The name says it all, this remarkable affordable pebble comes with a mixture of colors. 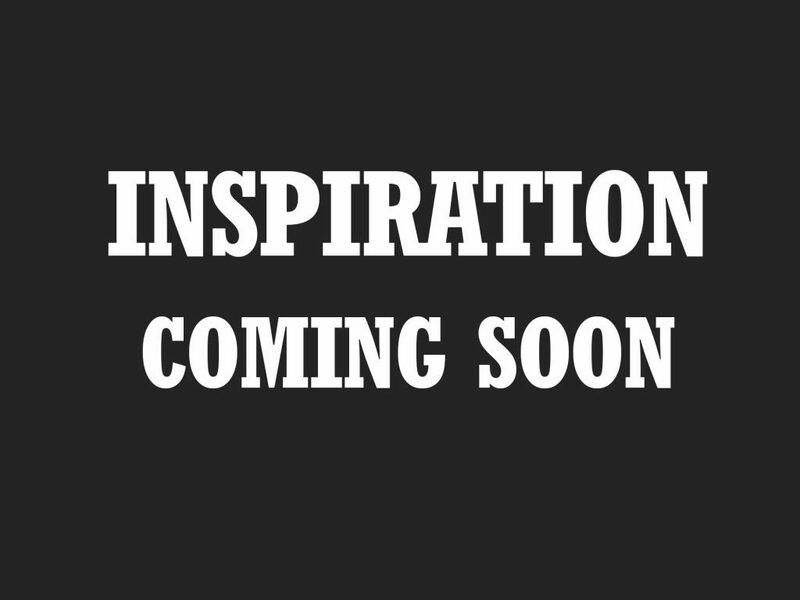 Available in three different sizes complementing any project! 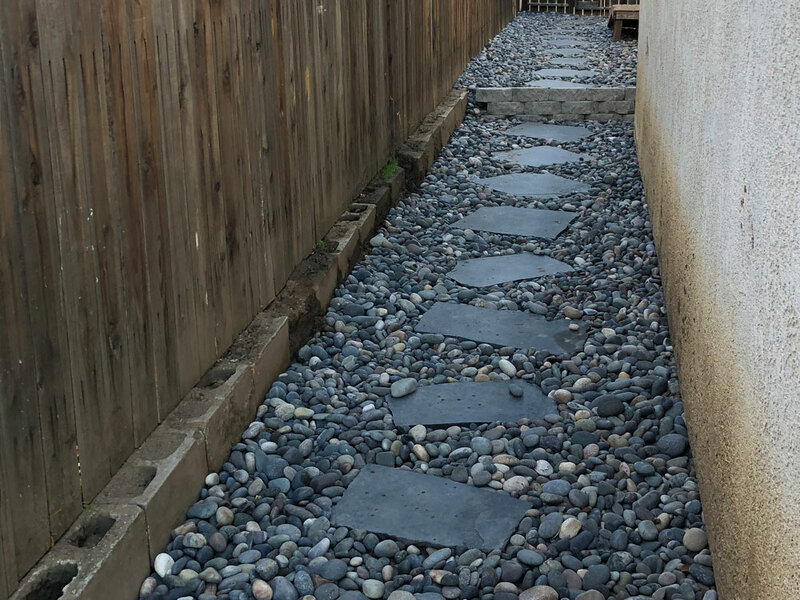 Santa Clara Mix is a mixture of light tones ranging from tan, grey, purple and brown. 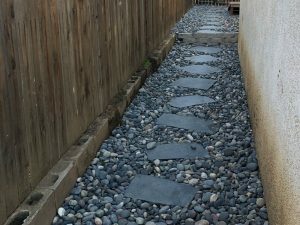 This material would compliment any surrounding trees or landscape. 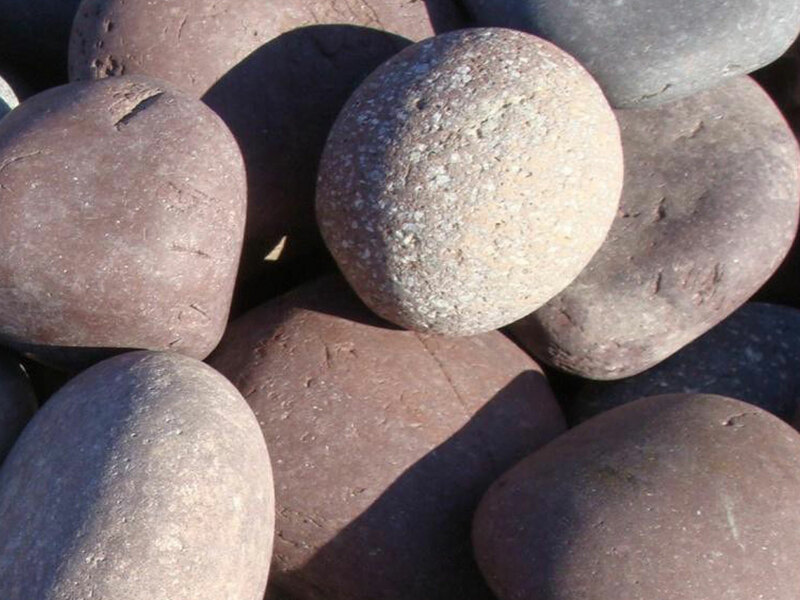 This pebble is a smoothed version of our typical lava rock, this material comes in a mixture of burgundy red and black. 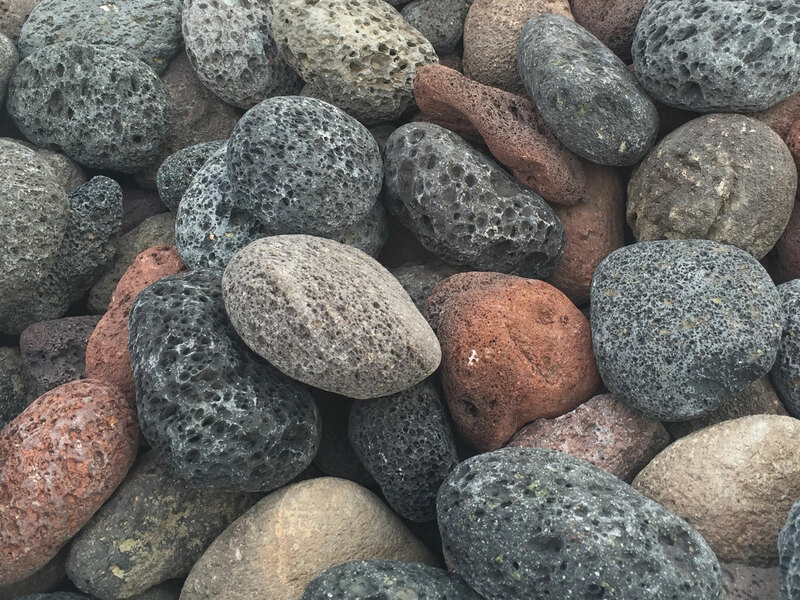 Lava pebbles would be a great addition to add essence to any Hawaiian or tiki themed back yards. white and coral. 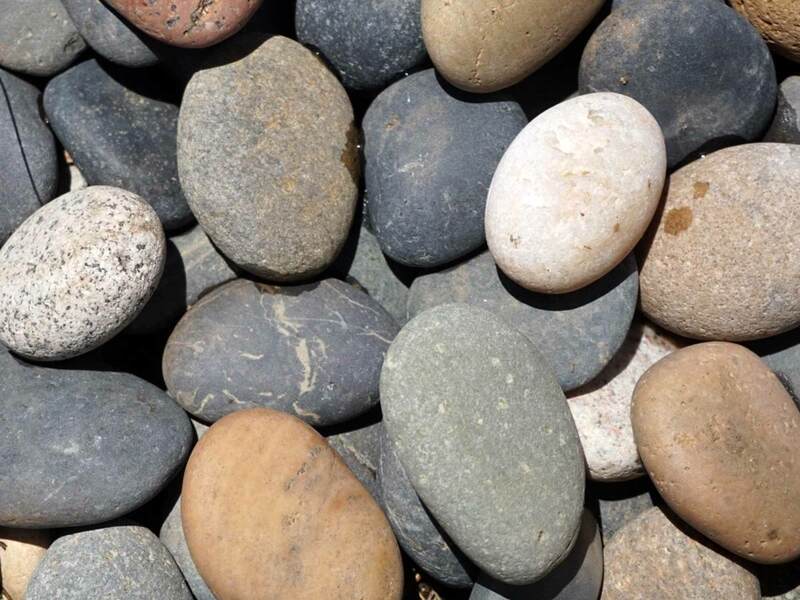 This pebble is great where ever you lay it but would be a great addition to put around any patio furniture to add a glossy elegant look. addition to any pond or front yard.